Hot Sweet Look item! We are introducing our new collection. Featuring a round neck. These Tops are so versatile that you can wear them with anything from your wardrobe. 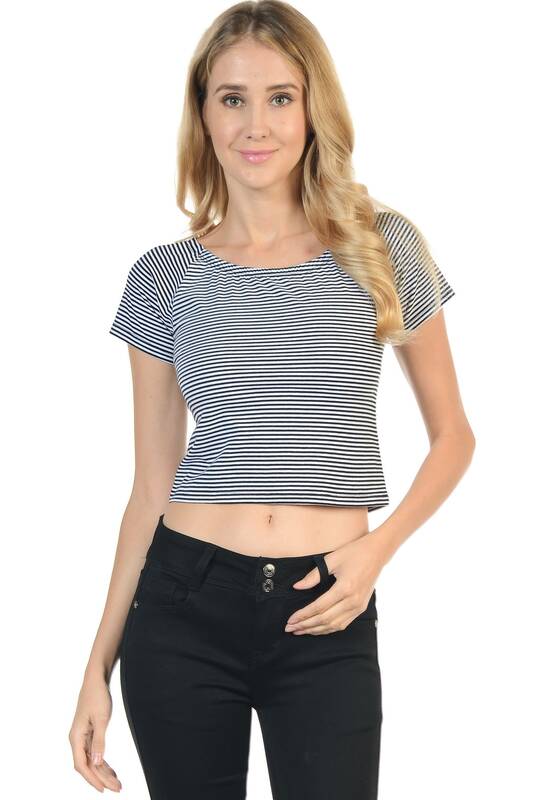 This one features short sleeves and thin black & white stripes. Lovely chic design with that sophisticated touch for any special occasion. You can dress it up or down.